The following essay stems from a conversation on art and commerce. The participants were Heidi Nivling and Larry Becker from Larry Becker Contemporary Art (founded 1988) and Sarah Eberle and Ben Will from Rebekah Templeton Contemporary Art (founded 2007). Colin Keefe (Mount Airy Contemporary) and Jacque Liu (Grizzly Grizzly) moderated the conversation. The common perception is that business and art are as intrinsically separate as they are linked. Selling art can be a means of sustaining the lives of artists and gallerists as well as the artwork itself. But how does something as subjective as art fit into something as objective as the commercial gallery? What role does commerce play in the interpretation of artwork? We asked four gallerists, who also have or have had lives as studio artists, how they investigate these questions and navigate the territory of supporting artists’ practices. 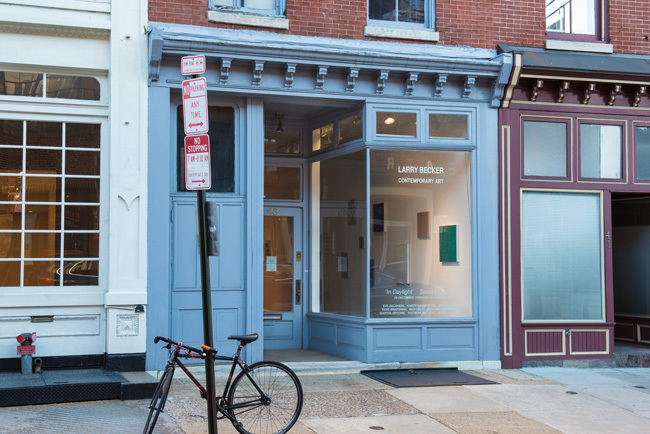 As the focus of Citywide is artist-run spaces, it seems apropos that this conversation focus on two galleries started by artists. Heidi Nivling and Larry Becker both studied fine art, first at Temple University and then at the School of the Art Institute of Chicago. Sarah Eberle studied at the University of California, Berkeley and the School of the Art Institute of Chicago, and Ben Will attended Fairleigh Dickinson University and Middlesex University. Throughout our conversation, each of them spoke of investment in the artist rather than the objects; of responding to the work and fitting it into the market rather than changing the work to fit the market; and of filling one of the numerous voids in the visual art ecosystem. Of course, financial success is a goal, but for our panelists, success seems to be measured in metrics beyond market values. As artists themselves, each of our panelists retains personal insights into the art-making process. This is not to say that commercial gallerists who did not study studio art lack an understanding of the studio process, but rather to emphasize that our panelists share the artists’ perspective and have a sense of what artists need. There is an a priori knowledge of when to push and when to give space. The clearest example of this occurred when Will and Eberle spoke about their focus on artistic practice rather than the artworks themselves. Both stated that “very few people work on one thing specifically.” Many contemporary artists will cyclically make a wide range of work, from videos to installation to prints to paintings, etc. Some will be more sellable than others. Interestingly enough, they’ve found as much success in terms of sales when they show installation art as when they show prints or objects. In starting their respective galleries, the participants all spoke of filling a need within the community. As artists themselves, each of them has access to the artist community in a way that they would not have had solely as gallerists. They have an intimate knowledge about who’s doing what, where, and how well. art with a larger world. Galleries have always been understood to inhabit the space between artist and collector. What we find interesting about these artist-run commercial galleries is that the artists use space in very specific ways that reframe what “commercial” means. “Commercial” becomes an inlet or forum for conversation, connection, and developing a love for art objects. The spaces become venues for dialogue with the people who make the objects, the people who show the objects, and the people with whom the objects will potentially live—a commons. We often look at the art object as the locus around which all of these transactions normally take place, but in a very real sense, the people running these spaces are engaging in a creative enterprise that performs the same functions as art objects profess to—they engage, they inspire, they frame questions, and they demand interaction. COLIN KEEFE is an artist, curator, and co-director of Mount Airy Contemporary in Philadelphia, PA. Recent solo exhibitions include Robert Henry Contemporary, New York, NY; Abington Arts Center, Jenkintown, PA; and RHV Fine Art, Brooklyn, NY. His work has been reviewed in the New York Times, Village Voice, Philadelphia Inquirer, Philadelphia City Paper, Toronto Globe and News, Los Angeles Times, Sculpture Magazine, and theartblog. Keefe received his BFA in sculpture from Washington University and an MFA in sculpture from Cranbrook Academy of Art. 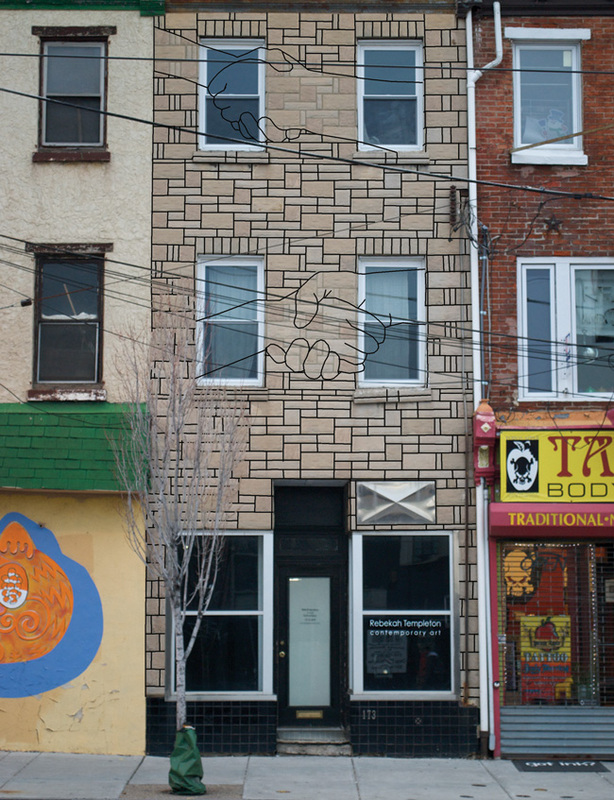 JACQUE LIU is a former member of Grizzly Grizzly (2010–14), Vox Populi (2008-2010) in Philadelphia, PA; and the co-founder of artist-run Takt Kunstprojektram in Berlin, Germany. Currently, he serves as the Percent for Art Project Manager at the City of Philadelphia’s Mayor’s Office of Arts, Culture and the Creative Economy. Collaboration, creative programming, and arts administration play an important role in his artistic practice. In addition to exhibition curation, Liu has led creative programming, such as Philadelphia’s inaugural Community Supported Art program, a collaboration between Grizzly Grizzly and Tiger Strikes Asteroid. He received his BFA with an English minor from Alfred University and his MFA from Cranbrook Academy of Art. He was awarded Fulbright Scholarship to study at the Universität der Künste Berlin.